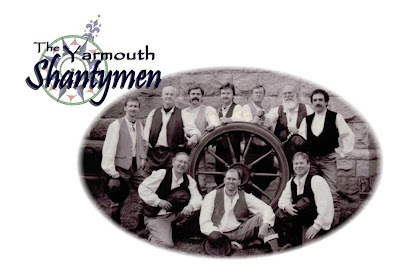 The Yarmouth Shantymen are a fun-loving group of guys who gather around good maritime beer to tell jokes and sing the old work songs of the age of sail. They want to share the excitement of this unique style of music. For nearly 20 years this enthusiasm has led them to perform in a variety of venues for many difference audiences. About eight years ago they created a CD which has proven very popular with locals and tourists alike. 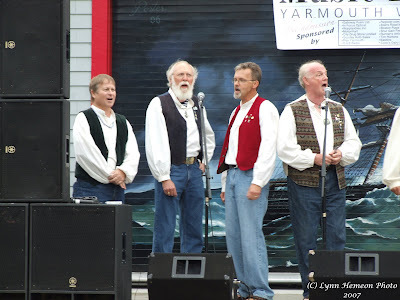 The Yarmouth Shantymen formed by accident (almost) as the group was formed in 1984 to accompany Eric Ruff, the curator of the Yarmouth County Museum, in a talk on sea shanties. This was to be a "one-time" gig, however, almost twenty years later the group is still going strong. The Yarmouth Shantymen, as a group, has changed little in the past two decades with several of its ten members remaining with the group. Although a few members have come and gone the current shantymen are faithful to the original mandate of promoting the old songs of sailors from the "age of sail". The Shantymen perform in a variety of venues for diverse gatherings. 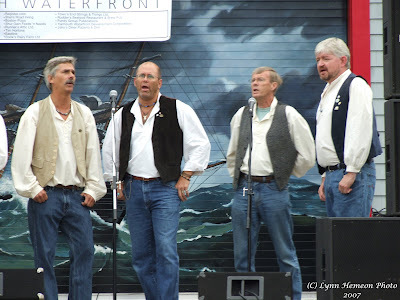 They can be found singing at the local "Fish Feast" celebrations during SeaFest each July or entertaining a tour bus crowd at a local hotel conference room. 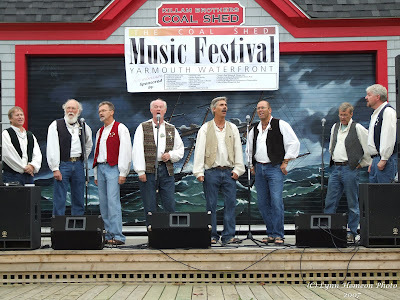 They have provided a lively source of entertainment to the Nova Scotia Association of Municipalities, as well as, representing the province of Nova Scotia on the waterfront of Bar Harbor, Maine.